This is a fucked up story about a woman named Montana Jones and her Shropshire Sheep. Montana Jones raises Heritage Shropshire sheep, a rare livestock breed that is known for high productivity and hardiness; but as grain-feeding became more popular in Canada, Shropshire Sheep had fallen out of favor, and are now that is recognized on the Rare Breeds Canada Endangered livestock list. Despite this fact, The Canada Food Inspection Agency (CFIA) issued a kill order to wipe out all of Montana Jones sheep— and all of her years of dedicated work. The CFIA issued this order, insisting that a ewe she had sold many years prior tested positive for a disease called Scrapie, a rare goat and sheep disease which poses no risk to humans, but causes sheep to lose their wool and die young. Although the CFIA believed it was possible that the ewe had been infected after leaving her farm, and although the tests had come back negative on her flock, the CFIA issued an order to kill the rest of her Shropshire sheep anyway. Fearful for her animals and her livelihood, Montana Jones took action, offering other alternatives to the CFIA to find out whether her Shropshire had been affected that didn’t involve such extreme measures, but the CFIA did not respond to her proposal, the 5,000 petitioners on Change.org demanding that they cease action, or the suggestion that the government re-examine their protocols regarding agricultural biodiversity. Despite the protests, a 15 foot pit was dug at the top of Montana’s hill overlooking the farm, a hill where Montana’s Shropshire sheep grazed for many years— a place to bury her sheep after the CFIA killed them, right before her very own eyes. But then the CFIA changed their minds and decided to send her sheep to a killing facility at a pet food plant near Ottawa, and she was told that she would have to foot the bill for it. Enraged friends and farmers sent several emails and messages offering to take the sheep and hide them, protecting them from the CFIA. The CFIA’s witch hunt for the missing sheep had begun. Months later the fugitive Shropshire were discovered on a distant farm, where they were killed along with their newborns. All of the dead sheep were tested for Scrapie, and all of the tests came back negative. Despite the results of the Scrapie tests, Montana Jones’ farm was quarantined, the CFIA had halted all sales from her farm. Montana Jones went from living peacefully, growing vegetables, and selling at the local Farmers’ Market…To a criminal. 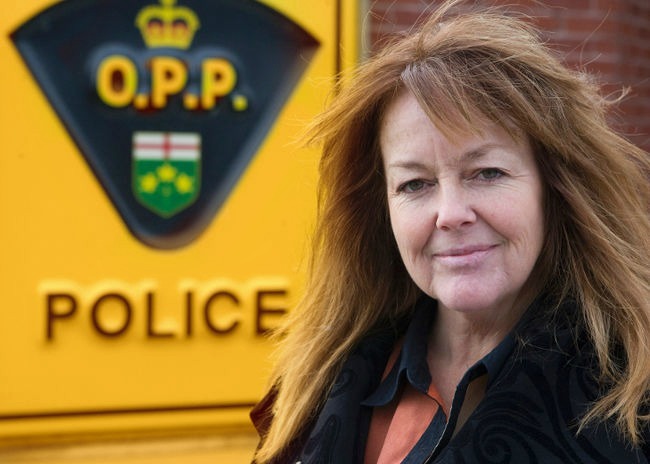 The Ontario Provincial Police raided Montana Jones’ home, warrants in hand, and charged her with conspiracy. If she is convicted, she faces up to 12 years in jail and fines of $1.5 million dollars. Montana Jones’ life had been turned upside down for protecting her life, her liberties, her pursuit of happiness, and biodiversity. Since the raids, Montana reports that she has been stricken with panic and anxiety attacks; seeing photos of her flock brings her to tears, symptoms of PTSD. This debacle has seriously altered her state of well-being. Montana decided to fight, anyway. 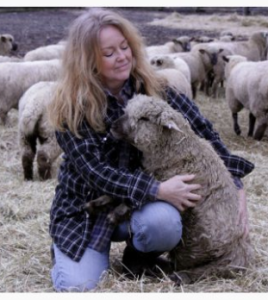 Montana’s story has been heard through several outlets, including several farmer’s advocate groups and even ShropshireSheep.Org. Montana has also raised $86,816 dollars of her $100,000 dollar goal on her GoFundMe.com campaign to cover her legal expenses. She is spreading awareness of the draconian policies of the CFIA, and educating the world how their policies affect all of us— working to get them changed for the better. This story, unfortunately, is one of many, and it’s occurring all over the world. In order to gain some more insight, I asked Joel Salatin of Polyface Farms to give us his thoughts on the debacle, since he has seen his fair share of war stories from the food front, and has a sobering perspective on these infringements of what should be our inherent rights. “Montana Jones is one of many heretics labeled so by the government-industrial inquisitors willing to go to any lengths to protect their orthodoxy. Driven to this heinous frenzy by peasants who believe the government knows best, heretics are summarily abused and destroyed in a show of bureaucratic righteous indignation toward anyone who would dare practice unorthodoxy. Indeed, Joel is right. We have turned over the responsibility of food safety to a powerful, centralized government that has been syphoning freedoms and power from local communities for decades. And although we are all aware of the corruption of the system— a system that categorically fosters a revolving door system between big-agribusiness industry and its regulators— we continue to support the very systems that stack the deck so high against our fellow citizens. But despite that, we still have ownership over the things that belong to us, right? To the politically uninitiated, this is a routine injustice that one might consider theft. However, go back to Joel’s question, “If the farmer doesn’t own her animals, they can’t be stolen, can they?” The gravity of that question cannot be overstated, because although Montana may have raised these sheep for years, they could be killed, or taken away without due process or even compensation by a government entity. Are the animals, indeed, her property? Or can these government organizations seize whichever property they please? And if they can, how is ownership defined? Thankfully, there are some organizations who have stepped up to defend the rights of farmers like Montana. Organizations that are saying “Enough!” and aiding those who are stuck between a rock and a hard place, trying to exercise civil liberties while struggling to live within the confines of the law. I’d like to give a special thank you, praise, and kudos to the Farm-to-Consumer Legal Defense Fund (FTCLDF) for their work in leveling the playing field for farmers, helping them to win legal wars that drag farmers through costly government enforcement matters. In addition to litigation, FTCLDF’s work includes advising on state legislation, working at the administrative level on matters before federal and state governments, and day-to-day member services that include zoning issues, on-farm poultry processing, and slaughterhouse regulations just to name a few. 5. Serving as co-counsel for Victoria Bloch—one of the “Rawesome Three” arrested in 2011—charged with three counts of conspiracy related to her duties as the Los Angeles WAPF chapter leader in promoting access to nutrient-dense foods. Although many of us in this Paleo Movement eschew dairy, we can all see the profound importance of the work that the Farm to Consumer Legal Defense Fund does for raw dairy farmers, too. This isn’t just a matter of food, this is a matter of protecting our civil liberties. This is a matter of protecting our farmers. This is a matter of protecting our fellow citizens and fellow human beings who are falling victim to a corrupt and ailing political system. This is a matter of protecting our friends, family, and future. In situations like Montana’s, it’s easy to feel disempowered and roll over—giving in to the proverbial “man“, but it takes a spirit and character like Montana to set the example: to rise above that and become a true leader, showing us that anything that we set our minds to accomplish, we can acheive. 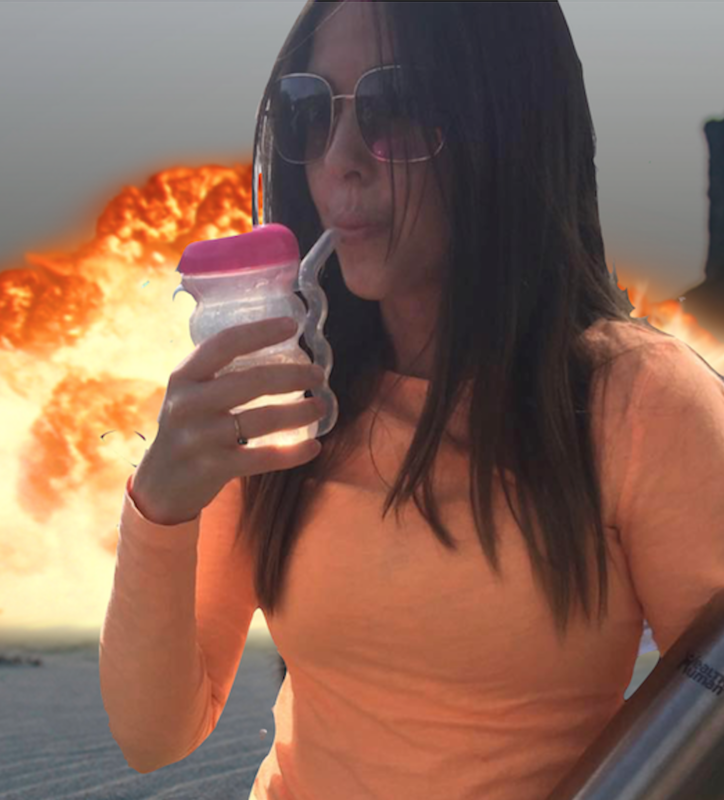 I’d also like to thank Montana Jones for being a supreme breath of fresh air, and being an encouraging example for the rest of us to follow our hearts and do what’s right, even in the face of what seems like insurmountable adversity. I’d also like to extend another thank you to the group that calls themselves “The Farmers Peace Corp.” because what you did for those sheep— though it didn’t work—was courageous, and outstanding. • We can go and ‘like’ organizations like The Farm to Consumer Legal Defense Fund on Facebook so we can keep connected with them, and they with us. • We can donate to the Farm to Consumer Legal Defense Fund so that they continue to grow, and continue to protect the farmers that feed us. • We can read books like 1984 and Animal Farm by George Orwell. • We can donate to Montana (who still needs $14,000 for her lawsuit). • We can buy directly from our local farmers, CSAs, and Co-Ops. • We can change this system by continuing to learn about our food. And last but not least, we can share the posted links above on Facebook and other social media outlets to help Montana get the word out. These injustices occur because we sit idly by as spectators, and if we desire a change, we must act upon those desires.